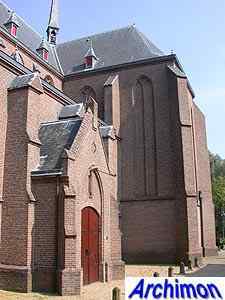 From 1688 until well into the 19th century the St. Nicolaas parish of the village of Jutphaas, now part of Nieuwegein but at that time still a village, had been using a so-called hidden church, a church disguised to look like a different type of building, in this case a barn, in order not to "provoke" the protestant rulers. 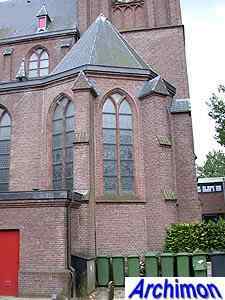 An important step forward was made when in 1873 G.W. 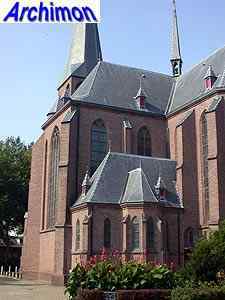 van Heukelum was appointed priest of the Jutphaas parish. 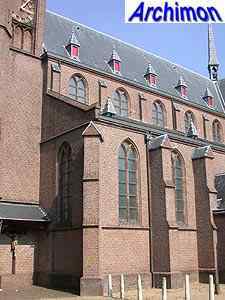 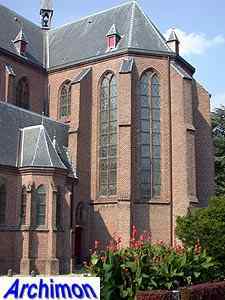 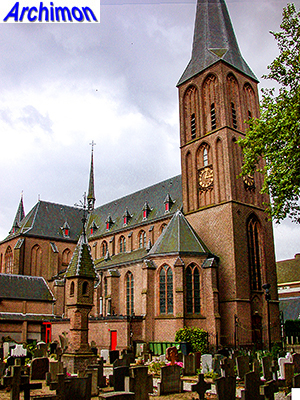 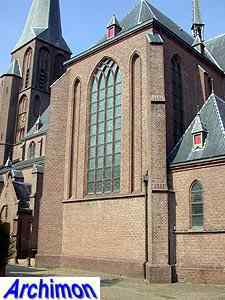 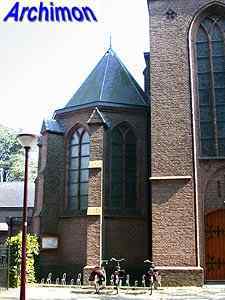 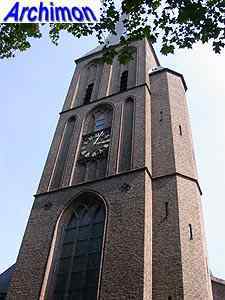 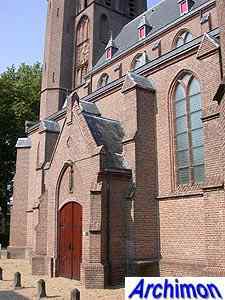 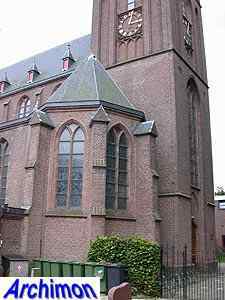 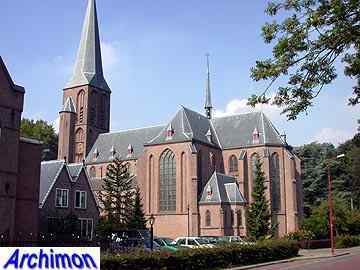 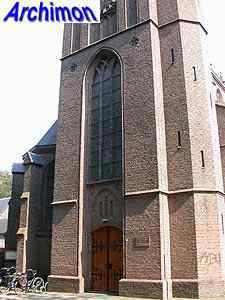 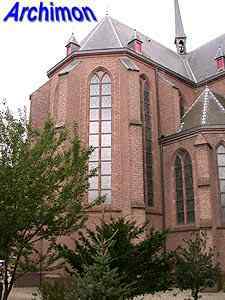 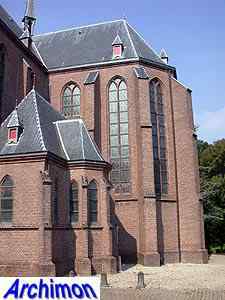 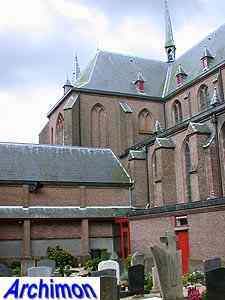 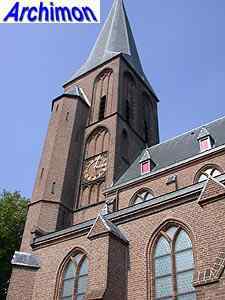 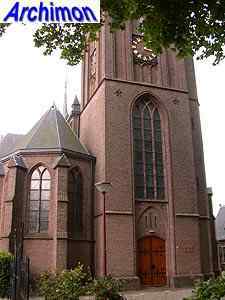 Van Heukelum was the founder and leader of the St. Bernulphusgilde, The Guild of St. Bernulpus, an organization mostly consisting of priests that strived for a Gothic revival in The Netherlands. 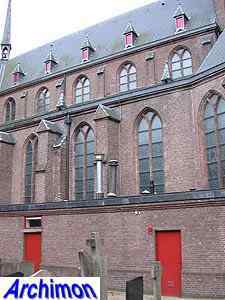 Several artists were under the protection of the guild, meaning that they would get important assignments as long as they conformed to the demands of the guild. 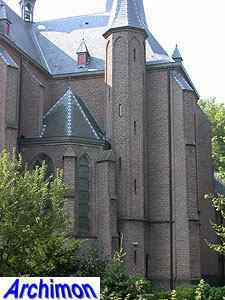 The most important of these artists was architect Alfred Tepe, who in 1873 was just at the beginning of his career. 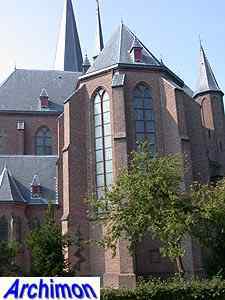 For Jutphaas Tepe designed a three-aisled cruciform basilica in a neo-Gothic style that showed a clear influence from Lower-Rhine Gothicism, just like the guild wanted. 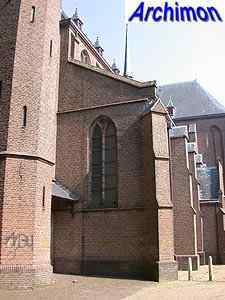 Only brick was used; the guild preferred the use of indigenous materials.